Libouton Martine (Bousval, Belgium) on 24 December 2018 in Miscellaneous and Portfolio. Joyeux Noël à vous !!!! 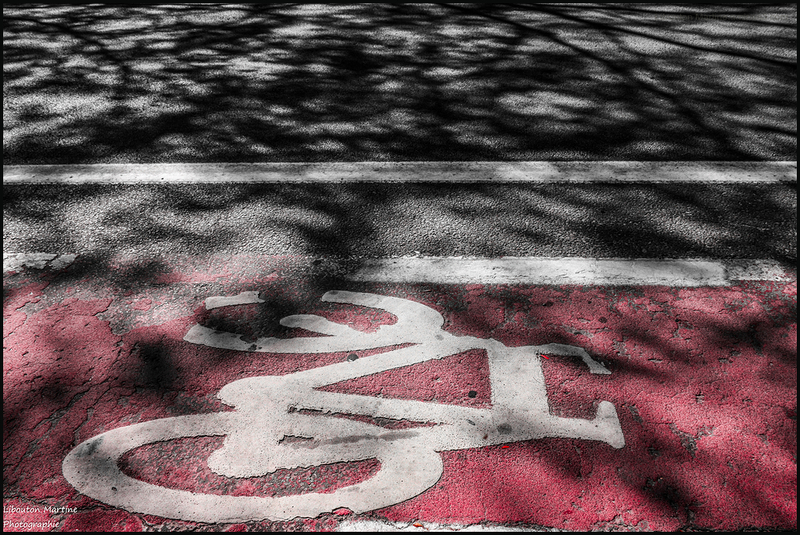 A fine shot of this bicycle lane. It looks fairly wide and is red. In my town, they are an afterthought. That is, they are narrow and much too close to automobile traffic. J'aime beaucoup le jeu d'ombres et de textures ! Belle veille de Noël Martine ! Nice white and red, suitable for Christmas ! Shadow and light on the bike path. Beautiful textures and shadows that dance across the pavement! Wonderful framing and textural impact. Happy Holidays to you ! Photo intéressante ! Joyeux Noël ! Joyeux Noël a toi ! Merry Christmas to you and yours Martine. Funny title and a nice photo. Belle lumière et ombre et belle couleur. Joyeux Noël Martine!